The life stories of the stars above, as told through the beauty, grace, and power of contemporary dance! 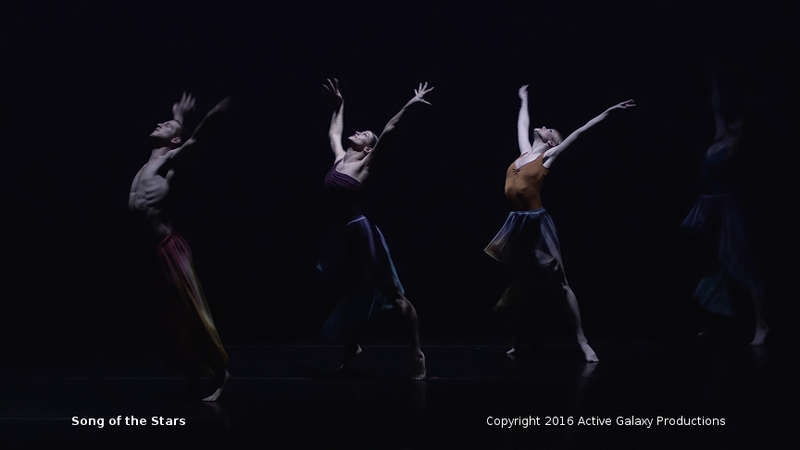 Song of the Stars features performances by Seven Dance Company under the artistic direction of Cassia Cramer, woven together with a narration by astrophysicist Paul Sutter. In this original fusion of science and dance, you will travel through the vast cosmos, witnessing the first stars sparking a revolution from total darkness, the fatal love of two galaxies, a cataclysmic death that brings hope to a new generation, and so much more. Our Kickstarter campaign has successfully gathered support for the filming and editing of the live premiere by Over the Sun Productions, and we have distributed a professionally produced film to a variety of channels, including national broadcasters. 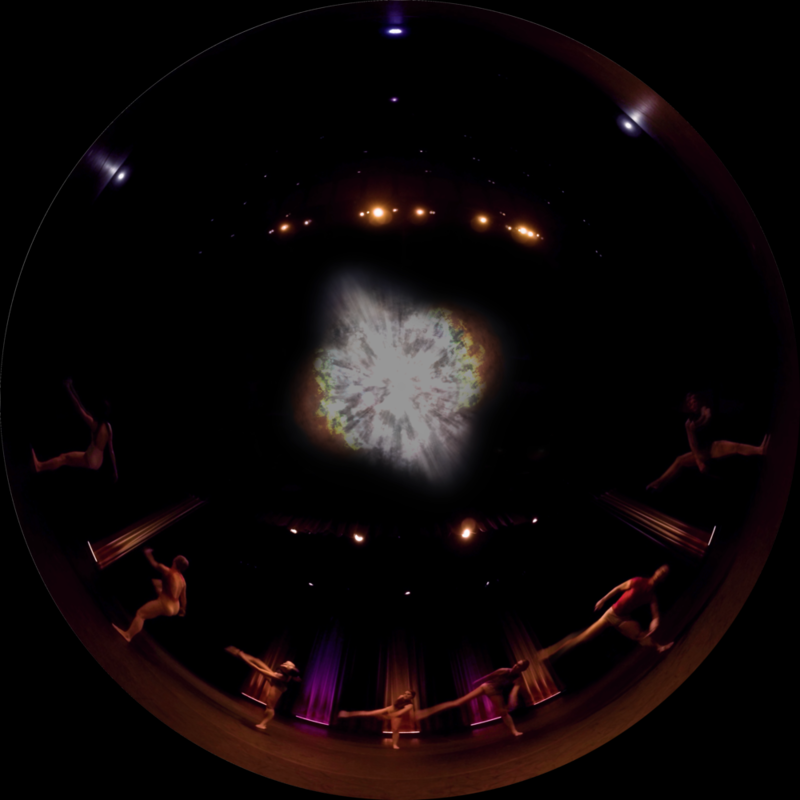 Individual pieces have also been filmed using specialized 360-degree cameras by Infinite Impact Studios, creating a unique and groundbreaking immersive virtual reality experience. With this footage a planetarium film has been produced for distribution to thousands of planetariums worldwide. Production is led by Active Galaxy Productions, a company specializing in bringing science education to new audiences, with artistic direction by Seven Dance Company, a 501(3)(c) nonprofit dedicated to tying local communities together through world-class dancing. The performance premiered on April 21st, 2016 at the Capitol Theater in Columbus, followed by performances at select schools. 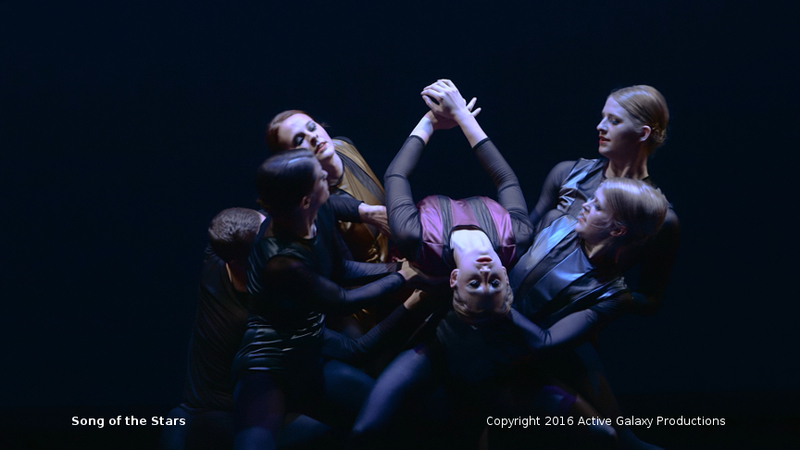 As a part of this production we are also preparing educational supplements, including classroom science guides and student residencies at Seven Dance Company. 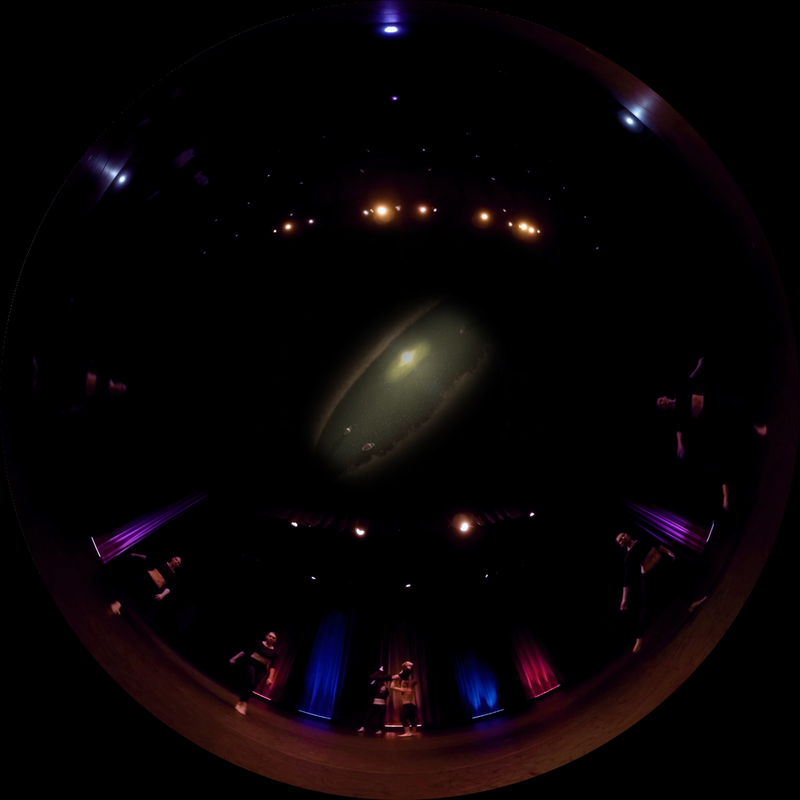 Song of the Stars is available for licensing to digital planetariums and virtual reality studios in a variety of formats and lengths, from a single episode to the entire performance. To request a quote, please contact our producers here.